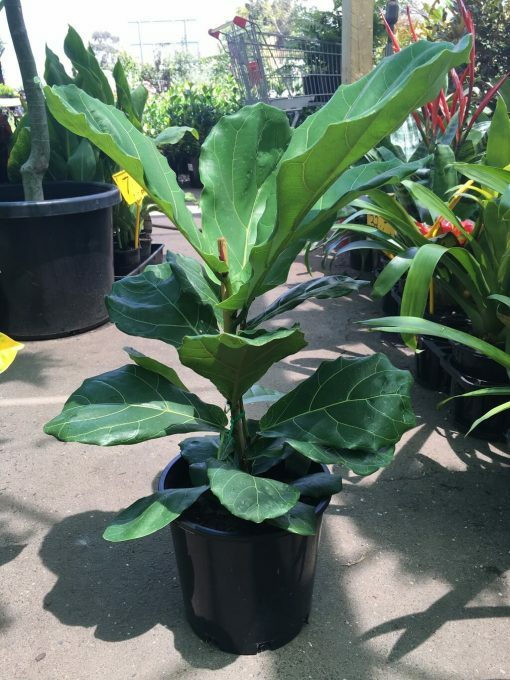 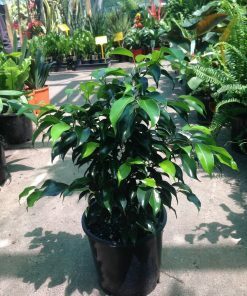 The very popular Ficus Lyrata aka Fiddle Leaf Fig is a great indoor plant. 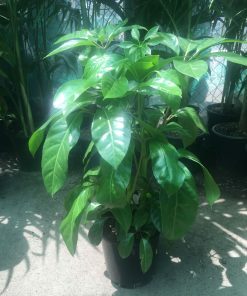 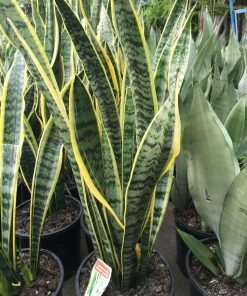 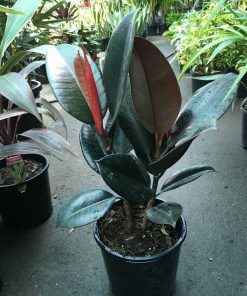 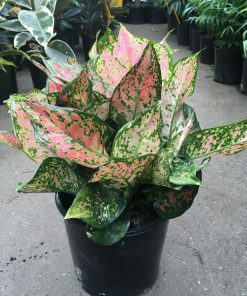 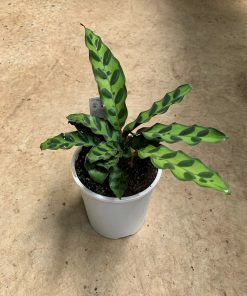 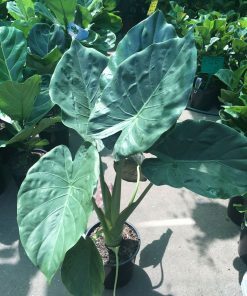 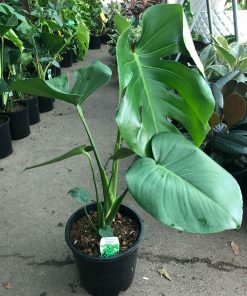 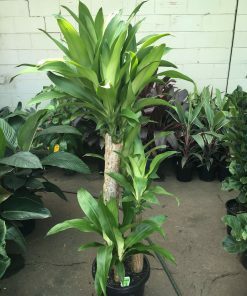 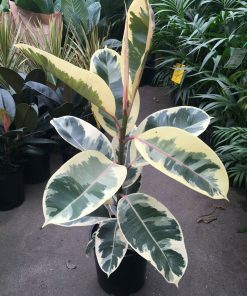 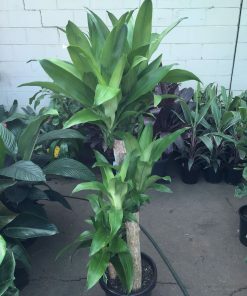 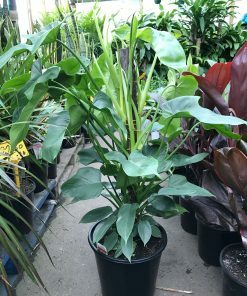 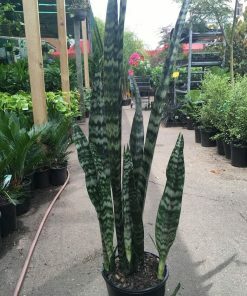 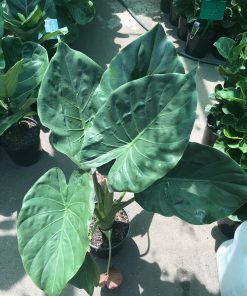 It has large glossy green leaves with white veins. 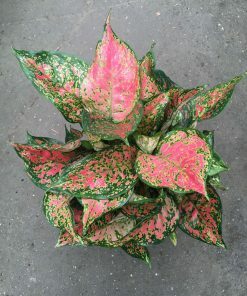 Can go up to 2m indoors and very hardy with minimal water required.